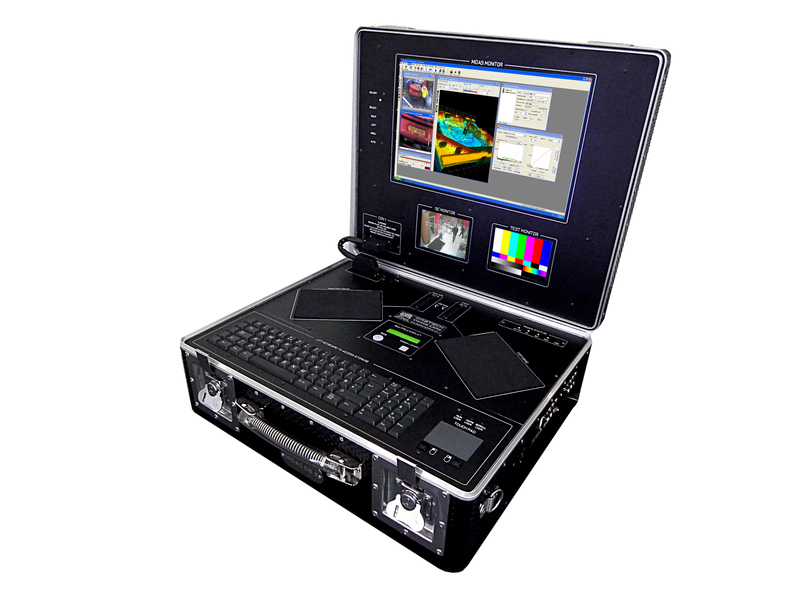 MIDAS, a mobile image and data acquisition system designed and developed by Daetech systems (UK) Ltd and used by many forces worldwide has won a prestigious award in the UK, facilitated by ADS, the trade organization for advancing UK Air, Defense and Security industries; sponsored by General Dynamics, a leading prime contractor and systems integrator to military and civil defense and security; and judged by CAST, the Home Office's Centre for Applied Science and Technology. 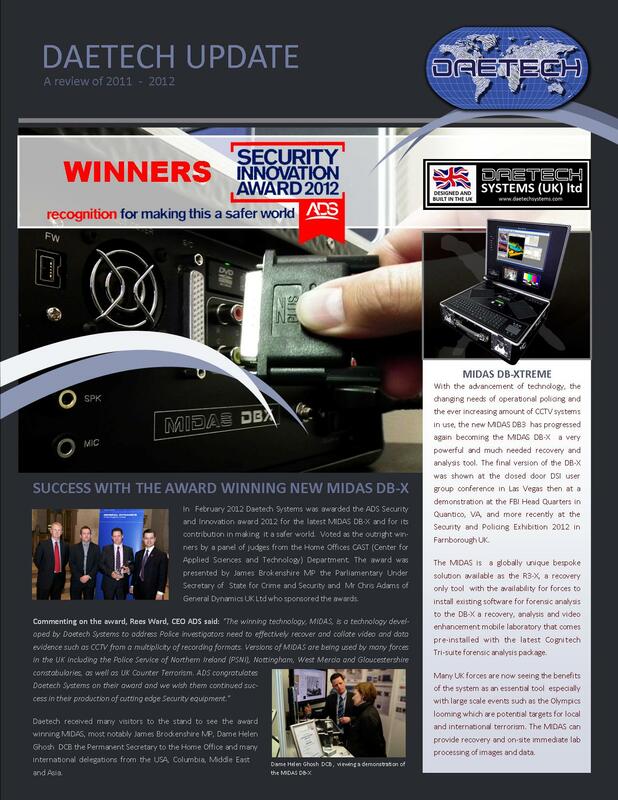 MIDAS, declared the outright winner, won the ADS Security and Innovation Award 2012. 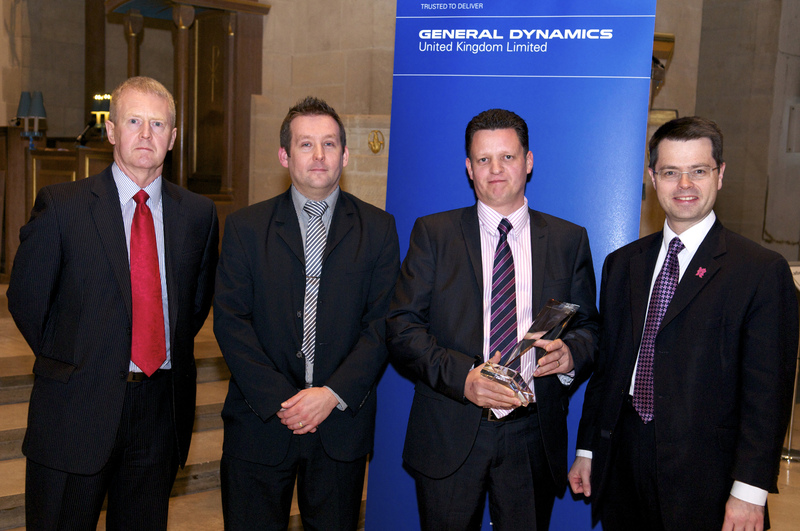 Managing Director of Daetech, Andrew Wallwork said, "We are delighted with this recognition from the industry. Daetech is only a small company, but we do have a big reputation and our systems are being adopted by UK and international police forces. With the Integration of our global partners Cognitech Inc, Pasadena, USA, and their world leading Tri Suite forensic analysis, enhancement and visual computing software package, globally recognized and based on many scientific peer reviewed white papers and patents, making the MIDAS a powerful and versatile tool in the fight against crime and terrorism.